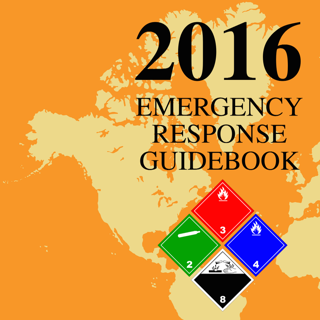 Easy to review safety information in a two page summary. 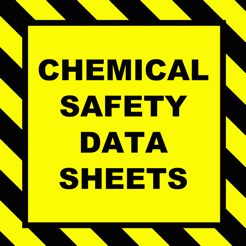 ICSCs summarize essential health and safety information on chemicals for their use at the "shop floor" level by workers and employers in factories, agriculture, construction and other work places. 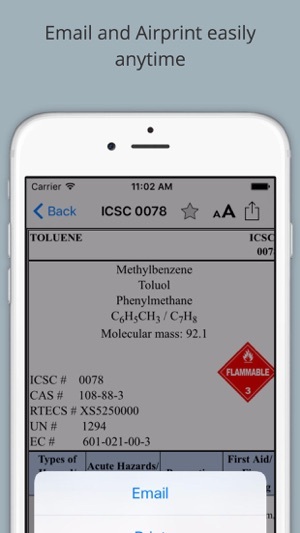 An ICSC is very similar to an Material Safety Data Sheet [MSDS], a standard reference document from the manufacturer for chemical information and is required, for safety purposes, to be kept in any place where workers face possible exposure to those chemicals. 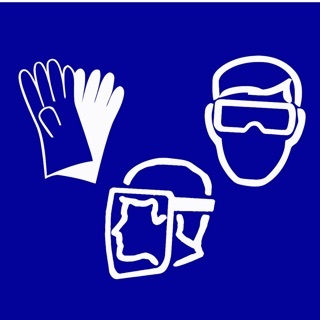 While an MSDS has many positives such as being very thorough and manufacturer specific, there are drawbacks : they can be very lengthy (the MSDS for water is 5 pages long), they have no standard format and may be technically very complex and too extensive for non-management use. 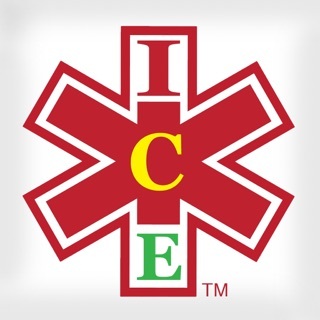 ICSCs, on the other hand, set out peer-reviewed information about substances in a more concise, standard and simple manner on 1 or 2 page documents that is always the same format. 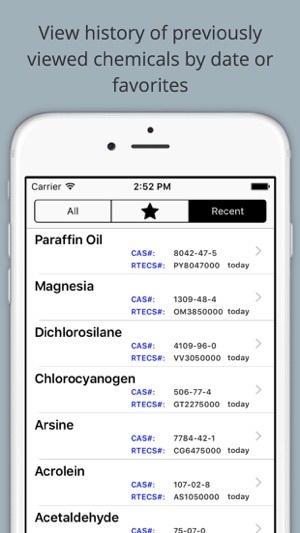 Use the information in this app to augment occupational health and safety when working with the applicable chemicals as an adjunct to MSDS or when MSDS are unavailable. 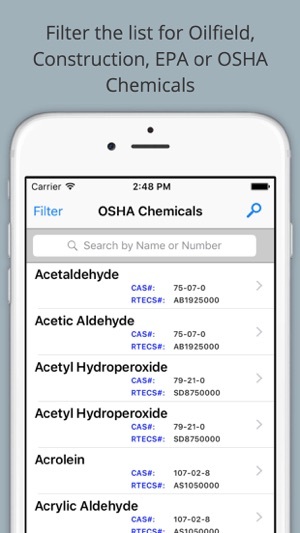 For more NIOSH information, including respirator recommendations, physcial properties and hygenie information, please see our NIOSH Chemical Hazards Pocket Guide [NPG]. 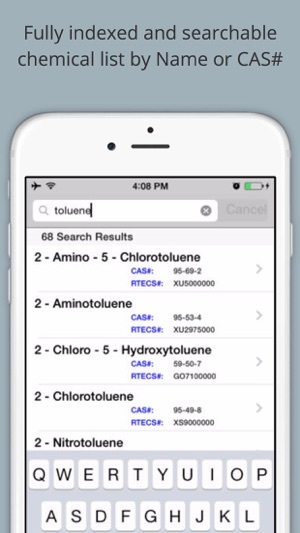 All information in the NPG app is viewable in a native, easily viewed format designed for the iPhone/iPodTouch. - see http://www.thatsmystapler.com/airprint for information and links about enabling airprint functionality for your network's printer(s). 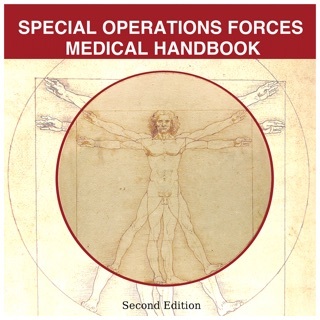 Easy to use, great information, can use offline, a great help. As part of my job I have to run trials with materials containing different solvents and other chemical additives. 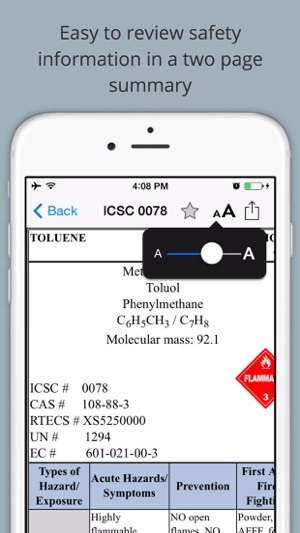 This program allows me to assess the hazards of the materials before I start. Extremely useful app. Saves many hours of trawling the web looking for information. Couldn't manage without it now.